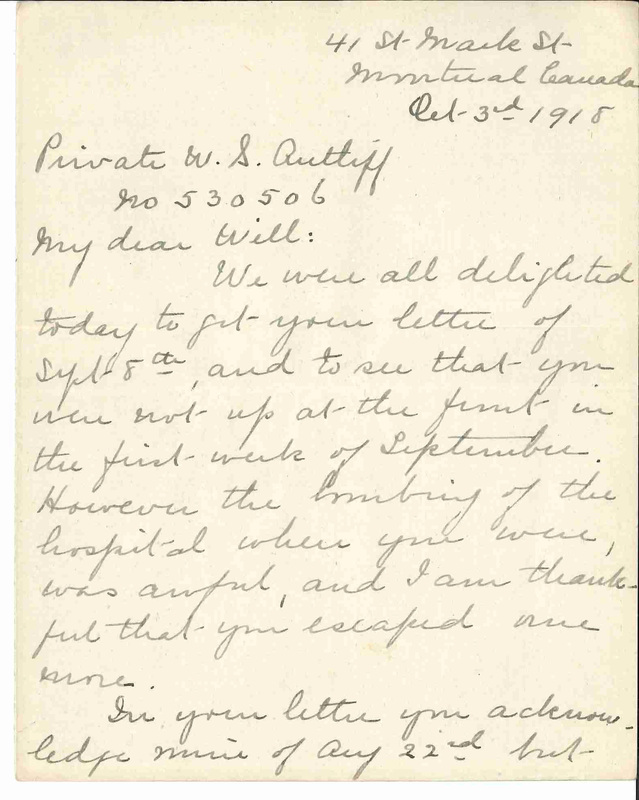 On Aug. 9, 1916, William Shaw Antliff penned a thank-you letter to his mother, Ruth Caroline Shaw Antliff, in Montreal. With 239 letters he wrote and mailed over three years, he returned 434 more back home to Montreal. Saving and storing the letters was so odd that Antliff’s mother, a 44-year-old widow and mother of three maintaining the family home at 41 Mark Street, considered the gesture overkill. “At one point she even writes, ‘Why do you want me to keep these? They’re not of interest to anyone,’ ” says Mélanie Morin-Pelletier, historian at the Canadian War Museum in Ottawa. But it’s fortunate he persisted. The letters are of great interest to Morin-Pelletier and visitors to the museum’s archives—from primary school kids to authors working on books—for the simple fact that both sides of the correspondence have survived a century. “Having the mom’s letters too almost never happens,” explains Morin-Pelletier. 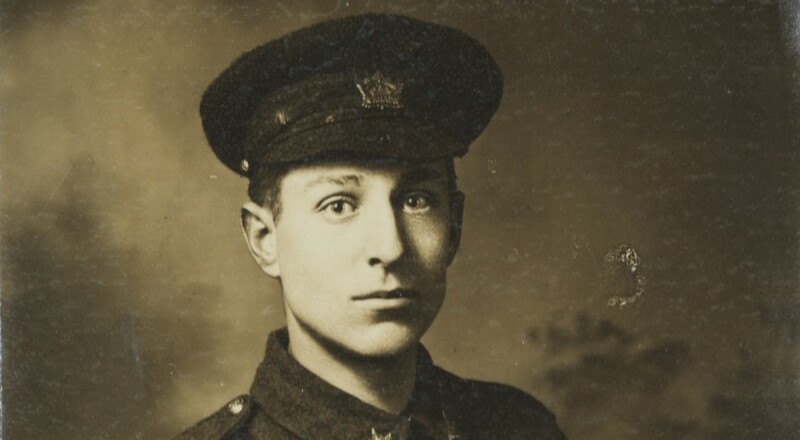 Tens of thousands of Canadian families maintained contact during the war via the Canadian Postal Corps, a service especially created in 1911 to move military mail. In 1915, Canadians sent more than eight million letters to their relatives in the military, who in turn posted nearly four million home. Still, Antliff wrote home—mostly to his mother, but also to his two brothers, grandfather and extended family—almost daily. “Like emails for us today, it varies,” says Morin-Pelletier. “Sometimes he writes every day, in which case they’re shorter, but if he skips a day or two then they’re long.” Long letters were a big effort when he could otherwise have rested. “He would have had to make time,” says Reid. “The stairway down was as steep as a ladder and in the bottom were bunks for 4 men,” he wrote on Sept. 19. “From here one could get quite a good view of the country around. Just over the way was a village or rather what was once a village. It isn’t straining the point a bit to state that not a wall was standing over 2 feet high.” Antliff’s cursive that day is neat and gracefully sloped to the right atop straight lines, his spelling and grammar impeccable; other days, his penmanship is hurried and messy, with errors scratched out. Antliff’s words are always informed by what he could reveal. “We had a little talk from one of our ofﬁcers about censorship regulations the other day and he said that if he found anyone telling anything they shouldn’t he would tear the letter up,” he wrote, letting his mother know that that might be a reason for a prolonged silence. He’s also careful not to worry his mother, downplaying the ever-present risk of injury and death. “Our quarters are in deep cellars that are actually bomb-proof,” he wrote of one station. “The place here is absolutely safe.” In another instance, he wrote: “You have probably noticed in the papers a large number of casualties from the Medical Services . . . still our losses are inﬁnitesimally small compared with the infantry.” Morin-Pelletier says letters often downplay risk and even fudge the truth when necessary. “They weren’t lying, they just weren’t telling the whole truth,” she says. Naturally, Ruth worried just the same. “My dear Will,” she wrote in October 1918. “We were all delighted today to get your letter of Sept 8th and to see that you were not up at the front in the ﬁnal week of September. 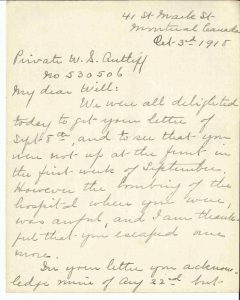 However the bombing of the hospital where you were was awful and I am thankful that you escaped.” Always trying to stay positive, Ruth was relieved her other two sons were too young to enlist, and that William served with the Field Ambulance rather than the air service. “I still think it is the most dangerous job of all,” she wrote. Ruth gives equal ink to the mundane details of daily life—a comfort to her son, no doubt. “Grandfather has a cold but all others are well,” she wrote. 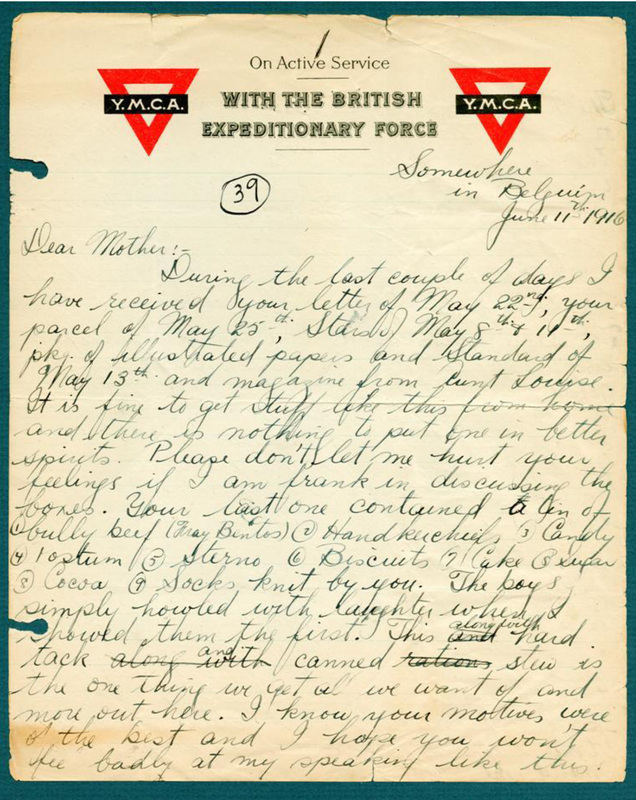 Likewise, despite the weight of the war, her son is still concerned with smaller things: “I am awfully sorry I forgot Donald’s birthday,” he wrote. Ruth also writes about fundraising with the Methodist church, knitting, preparing comfort packages for soldiers and making do with ever increasing restrictions on household supplies. “We are going to have a hard time this winter over the shortage of coal,” she wrote. “Each household is only allowed to have 70 per cent of what they always burn in the winter and inspectors are now going from house to house to see the coal in the cellars. If anyone is found hoarding, the coal will be taken.” Bitterly cold Montreal winters made this situation not just uncomfortable, but dangerous. 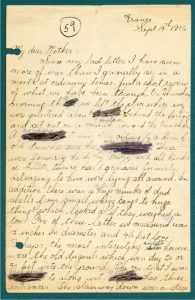 “I feel sure all the sickness and Spanish flu we have with us is due to the fact that all the houses are so cold and damp with no ﬁres and such terrible cold wet weather.” She also writes of flour and sugar shortages, making her care packages of candy to her son particularly special. 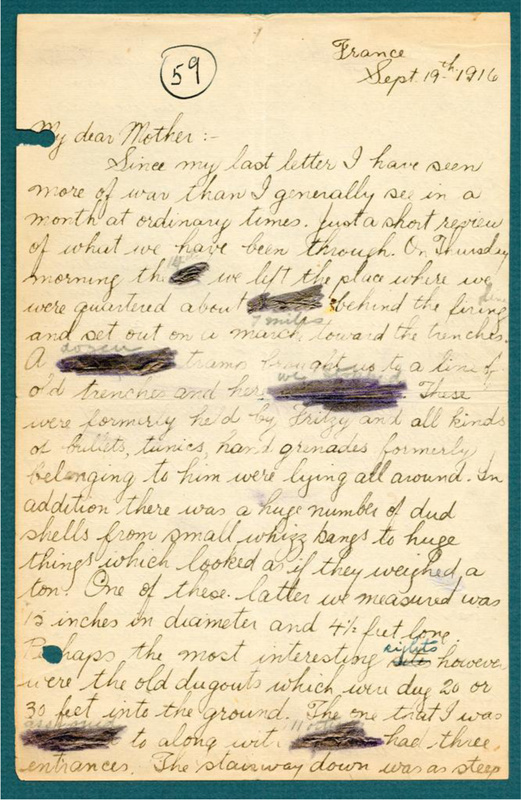 On Nov. 11, 1918, Ruth ﬁnally got to pen good news: “This is a most wonderful day—the long looked for day of peace and our hearts are full of joy and thanksgiving.” The war was over, and her son had survived. 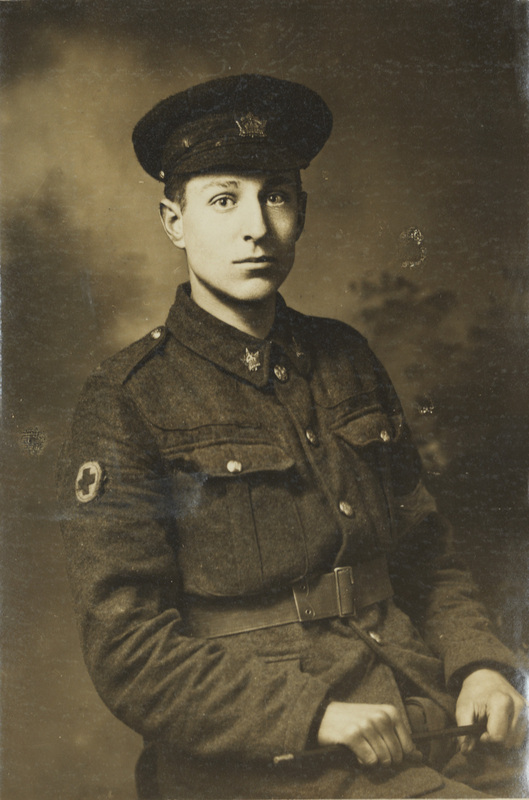 He arrived home via Halifax in March 1919. In August, he was awarded the Military Medal. He married in 1924 and had three children. He relocated to Toronto to work as the general manager of Canada Bread Company, where he lived until his death in 1985 at age 88. He’s buried in Mount Pleasant Cemetery in Toronto, and his obituary says he left 12 grandchildren and two great-grandchildren.